If you are at risk for having a baby with a genetic defect or blood disorder, your doctor may recommend percutaneous umbilical cord blood sampling (PUBS), which is performed at 18 weeks' gestation. 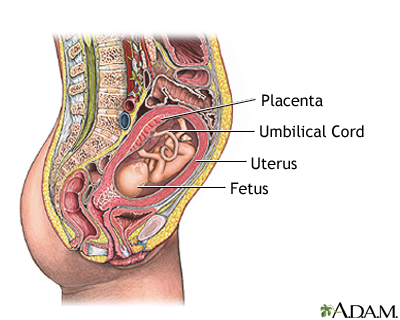 During the procedure, the doctor draws a sample of the fetus' blood directly from the umbilical cord. The sample is then analyzed for genetic defects and other health conditions. This procedure can also be used to check if your baby has anemia. If your baby has severe anemia, your health care provider can immediately give your baby a blood transfusion.